"Uniform: Name Tag - 3" by Normadeane Armstrong Ph.D, A.N.P. 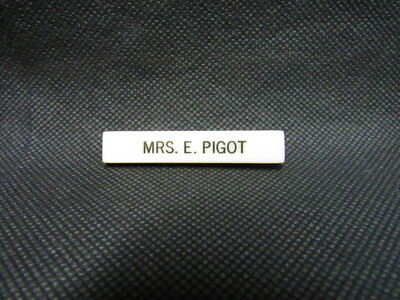 This is a Molloy College student name tag pin, which belonged to a "Mrs. E. Pigot." It was worn on the upper left side of the apron or dress and indicated who the student was.